CSA Group is #1 in hazardous locations equipment certifications worldwide. Hazardous locations are known as locations having potential explosive atmospheres. Such environments are defined as mixtures with air, under atmospheric conditions, of flammable substances in the form of gas, vapour or dust which, after ignition, permits self-sustaining propagation. 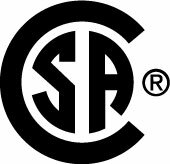 CSA Group is a leading expert in testing and certifying industrial products to meet local, national, and international compliance requirements. We offer testing for a broad spectrum of products, including Class 3883-01 industrial electrical machinery rated up to 1000 V and either permanently installed, mobile, relocatable, or self-powered; and Class 3883-81 industrial electrical machinery rated up to 600 V and either permanently installed, mobile, relocatable, or self-powered. We also offer testing against key standards for the industry, such as the CSA C22.2 No 0 – General Requirements, Canadian Electrical Code, Part II and CSA C22.2 No 301 Industrial Electrical Machinery; SU 2011 Factory Automation Equipment and NFPA 79 Industrial Machinery. No matter where you manufacture or sell your machinery for industrial locations, we can help take your products to market with speed and confidence. Our extensive expertise in hazardous locations equipment means that we have a unique understanding of the demands and safety considerations for machinery and tools in high-risk and often dangerous environments. Access new customers for your products with our globally recognized certifications for all kinds of machinery and tools, including Class 3883-01 industrial electrical machinery rated up to 1000 V.
Trust CSA Group’s specialized expertise and excellent customer service to help validate the quality, safety, and compliance of all types of Class 3883-81 industrial electrical machinery rated up to 600 V.
Learn how the right certification mark on your product can open doors to markets you seek in the U.S., Canada, Europe, Asia, and the rest of the world. CSA Group facilitates the development of standards for a wide range of machinery and tools for industrial locations. Many are harmonized with other standards development organizations to encourage increased adoption, consumer safety and sustainability around the world. We offer streamlined services and custom solutions to help get your products to market fast without sacrificing compliance and safety.